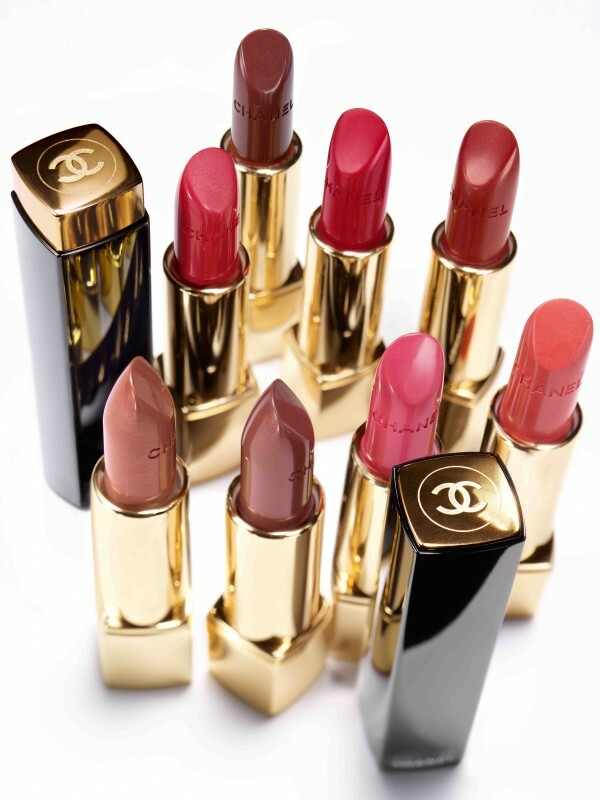 Before Chanel’s F/W 2013 makeup collection Superstition (post coming up soon) will finally become available here in Switzerland at the end of this month, we can indulge in the beautiful Chanel COLLECTION ROUGE ALLURE MOIRÉ which will hit the shelves this week. Inspired by the beauty and refinement of overflowing fabrics and ribbons, the warm and delicate moiré colours heighten the charm and mystery of intangible makeup. Each name of the eight shades could be used to describe a seductive and mysterious woman. You just have to find out which one suits you best! Do you feel stunning, fierce or mysterious? 122 FAROUCHE A sensual and luxurious chocolate gleaming with silver shimmer. 124 AMBIGÜE A rosy brown warmed by bronze and violet plum pearl. 125 INDÉCISE A natural rosy beige enhanced with a coppery effect. 129 SURPRENANTE An intense pink with ultra-luminous fuchsia shimmer. 131 ÉTONNANTE A satiny apricot with golden pearl, both delicate and elegant. 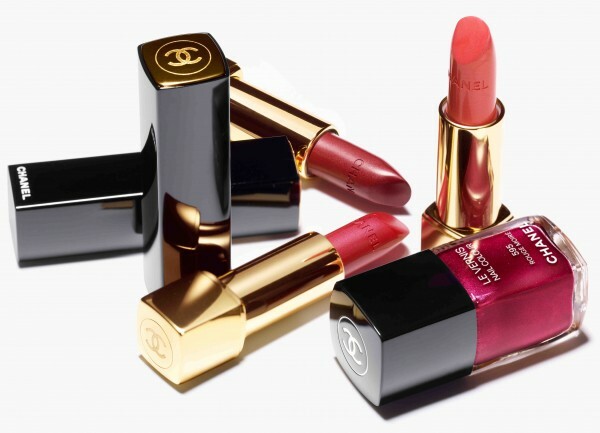 132 IMPULSIVE A stirring reddish pink, enlivened with gold and silver. 134 AUDACIEUSE A bold rosy red with a more intense moiré effect. 135 ÉNIGMATIQUE A deep brownish red, lit up with gold and silver pearl. Ultra-shiny and highly concentrated with pigments, it combines the easy application of a gloss and the lasting hold of a lipstick. 71 RÉFLEXION A reddish pink glowing with freshness. 72 CONTROVERSY (pictured to the left) An intense violet plum. The smile and the intensity of colour are accentuated by a pencil line tracing the lip contours. 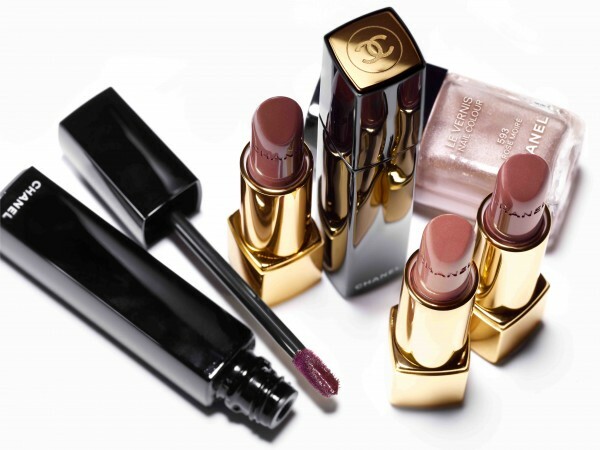 68 ROSE POUDRÉ A slightly greyish pale pink gives precision to delicate shades. 69 ROSE ARDENT (pictured) A reddish pink with a bold character offers vibrancy to the most dazzling shades of the collection. Always in movement, painted nails naturally play with the light. The partner of a bewitching smile, LE VERNIS comes in two satiny shades with shimmering reflections. 593 ROSE MOIRÉ A greyish pink for a delicate version. 595 ROUGE MOIRÉ A raspberry red for a seductive version.